Talkspace: how reliable and responsible is mobile psychotherapy app? Just two days ago, Apple started its sale for the company’s latest smartwatch Apple Watch Series 4. Boasting the new ECG sensor and much improved health functions including fall detection and emergency SOS, Apple claims its newest device to be your ‘part guardian, part guru’1. Of course, the integration of new technologies into the healthcare industry is nothing new. But the recent proliferation of portable smart devices which constantly monitor and analyse personal health data has significantly immersed technologies into human body, facilitating a new mode of governing the self – tracking yourself to be a physically and mentally better self. 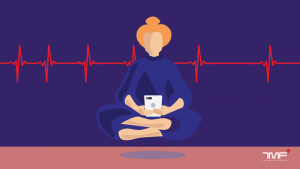 Reflecting the emergence of data-driven selfhood in the digital era, what’s also on the rise (along with thousands of fitness coaching apps) are mobile mental health apps. Mobile mental health apps saw an exponential growth in numbers over the past years. There are currently over 10,000 mental-health-related apps on App Store and Play Store and the number is expected to grow bigger in the future2. 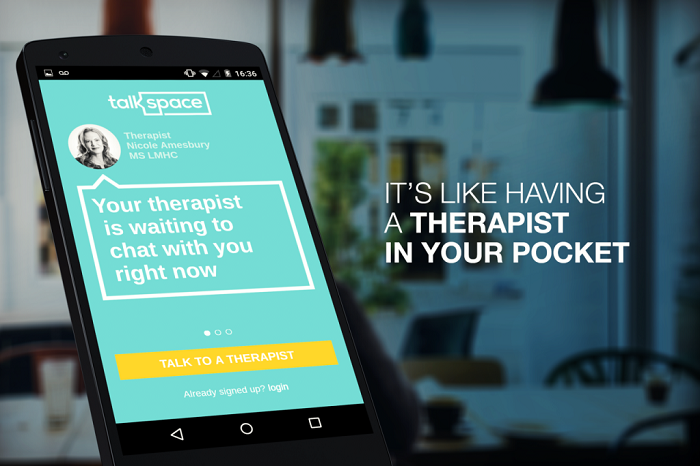 With over one million registered users on the platform, Talkspace is one of the leading mobile mental health apps which provides online psychotherapy through licensed therapists. Available in various multimedia counselling options – texting, voice note, live video chat and photo – the platform aims to deliver more convenient and affordable quality mental therapy without any temporal and spatial limitations. Why is mobile mental health on the rise? Drawing from various sociologists, Lupton in her article Self-tracking Cultures: Towards a Sociology of Personal Informatics asserts that the increasing adoption of health assistant technologies is partially due to a sense of uncertainty in contemporary society. She goes on to contend that the uncertainty is led by the loss of traditional social structures such as nuclear family and rigid gender roles3. Rather than following established social traditions, people are now confronted with a wide array of choices for shaping their own lifestyle. In such circumstances where the result of a decision becomes one’s own responsibility, Lupton argues that health assistant technologies act as a barometer which helps people feel more in control of their lives. She also points out that the intense self-focus on health and wellbeing is reflective of Elliot and Lemert’s concept of new individualism which highlights the reinvention of the self and the body3. With its mission to help people ‘live a happier and healthier life’, it can be argued that Talkspace is gaining its popularity through directly responding to the needs created by the aforementioned changes in societal landscape. “It’s almost like your therapist is always with you13“… how about in times of crisis? Talkspace differentiates itself from traditional mental health intervention in that the therapy is provided in the mediated space where patient-therapist relationships are established without spatial boundary. This manifestation of the absence of space was also noted in cyber-psychology studies. Lombard and Ditton emphasised the concept of ‘telepresence’, a term that refers to the feeling of being in one’s presence without sharing physical space as a central component of online therapy4. As Talkspace matches patients with a tailored therapist who has appropriate expertise as well as similar socio-cultural background, the platform caters to greater demographics on a global scale; a patient from a minority culture can be matched with a therapist from a distant region where the patient shares a closer cultural/social proximity. The cost-efficiency of the platform is also another crucial factor that may enable a greater access to psychotherapy especially for people with low income. According to a preliminary research conducted on Talkspace, the platform user spent $386 for unlimited text therapy for 3.86 months, 32.2% less than 15 traditional therapy sessions for 3.86 months ($1,200)5. Although these benefits may seemingly suggest that Talkspace is building an efficient new media infrastructure within the mental health care system, a crucial component is missing – the physicality that would connect telepresence with physical aides such as hospitalization6. Talkspace does not provide an infrastructural system where patients, under therapist’s supervision, can be directly sent to a nearby mental health facility or hospital in times of emergency. While the platform foregrounds its therapy effectiveness and positions itself as a more affordable psychotherapy option which can help with mental illnesses including depression and suicidal thoughts, the lack of emergency protection raises a concern whether patients with life-threatening circumstances can receive the promised support. How safe are we to share our deepest stories on Talkspace? Similar to many other emergent mobile platforms, privacy concern has been one of the central debates in the practice of mobile psychotherapy. More specifically, many scholars including Terry and Gunter point out that the current regulations such as the Health Insurance Portability and Accountability Act (HIPAA) have yet to take account of new implications of mobile mental health, often situating app developers, processing third parties and consumers in the grey zone7. The future integration of new technologies such as AI text recognition and heart rate sensor analysis may suggest a forthcoming paradigm shift in psychiatry. It is, however, important that the aforementioned drawbacks highlighted in the example of Talkspace must be revised with adequate means of patient protection in order to move forward into the future. With a plan to enable medication prescription to users later this year, the commitment of Talkspace to improving mental health comes with much greater responsibilities than breathing coaching apps10. Thus, rather than merely being an IT solutionist that attempts to evade accountabilities of the platform, Talkspace should aim to evolve into a platform where patient-therapist relationships can be established with high security and efficiency. *Please note that the reference order has been rearranged for the footnote. The list in Turnitin submission is arranged in alphabetical order . 5. Hull, Thomas. “A Preliminary Study of Talkspace’s Text-based Psychotherapy.” 2015. Columbia University. 18 September 2018. <https://www.talkspace.com/online-therapy/wp-content/uploads/2015/06/Talkspace-Preliminary-Research-Study.pdf>. 7. Terry, Nicolas, and Gunter, Tracy. “Regulating mobile mental health apps.” Behavioral Sciences & the Law Vol.36(2) (2018): 136-144. 21 September 2018. <https://doi-org.proxy.uba.uva.nl:2443/10.1002/bsl.2339>. 10. Brodwin, Erin. “A popular text therapy app plans to start prescribing drugs to users – and it’s part of a major expansion.” Business Insider. 13 September 2018 <https://www.businessinsider.nl/text-therapy-app-talkspace-prescribe-drugs-2018-4/?international=true&r=US>. Facebook’s new “two more big steps”. A responsible resolution or a surge for more self-regulation? A corporate view on mobile app development – interview with BM&FBOVESPA’s Web Projects Coordinator, João Magalhães Lima.